The Indian Catholic Youth Movement (ICYM) is the largest Catholic Youth Movement in India governed under the Conference of Catholic Bishops of India and is spread across 686 districts. It functions in 14 regions and 132 Dioceses. With its motto - "To Lead, to Serve, to Shine ", ICYM strives for the integral development of youth through Formation, Fellowship and Action being the main objectives and also caters to various needs for the holistic development of its members. 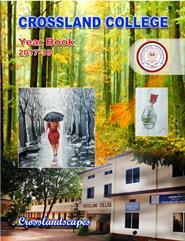 In the Diocese of Mangalore, ICYM was instituted in the year 1947 and now under the guidance of Most. Rev. Dr. Peter Paul Saldanha - Chairman, Mangalore Diocesan Youth Commission and Bishop of Diocese of Mangalore, Rev. Fr Ronald Prakash Dsouza - Diocesan Youth Director, Rev. Fr. Ashwin Lohith Cardoza - Assistant Diocesan Youth Director and under the leadership of Jaison Leroy Pereira, Shirthday - Diocesan Youth President. ICYM has been a premier youth organization with 12 Deaneries and 124 units. 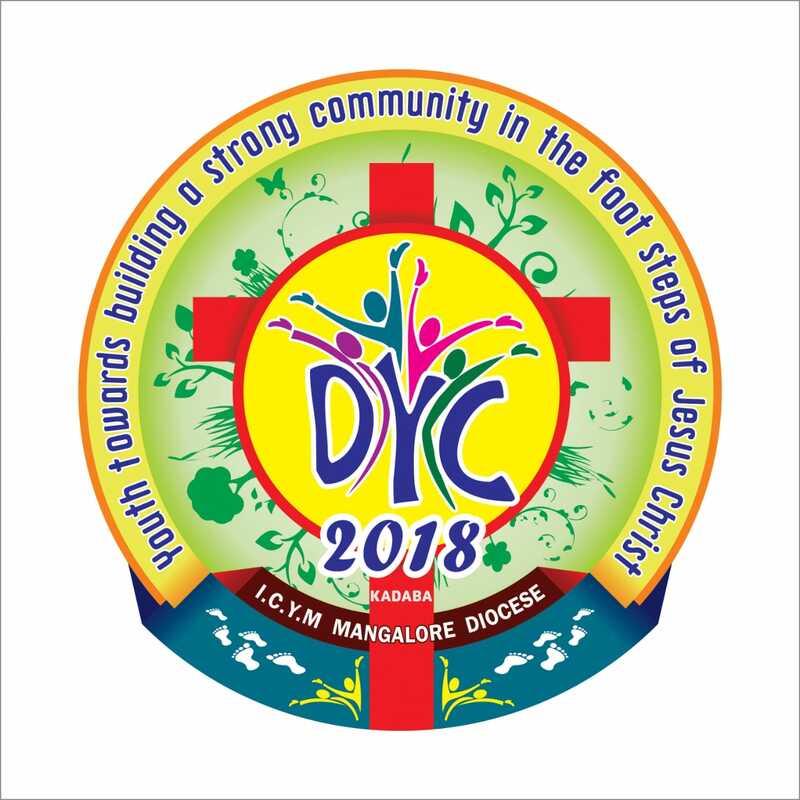 The Diocesan Youth Convention (DYC) will be organized once in 2 years with the aim of uniting Catholic Youth leaders and Youth Directors all over the Diocese. 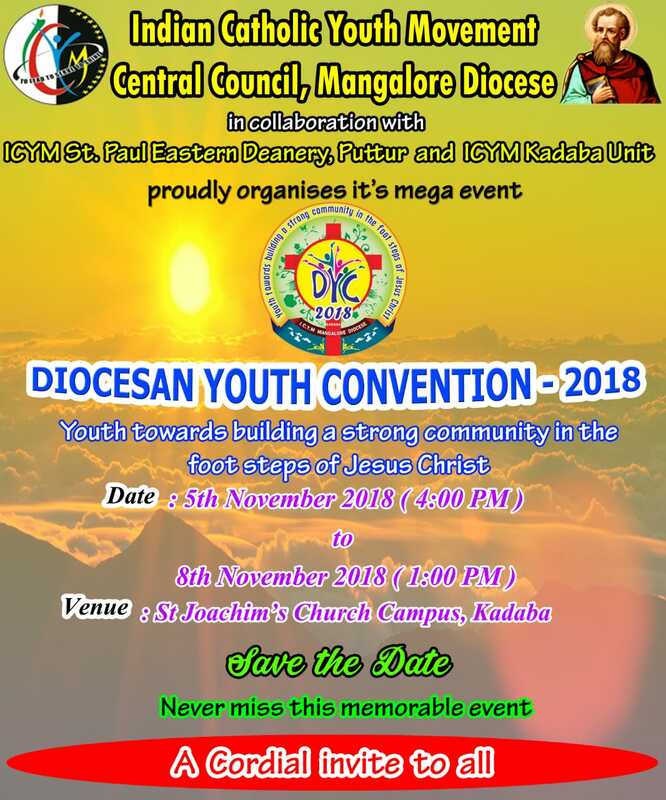 This year, with the immense joy, the Indian Catholic Youth Movement, Central Council, Diocese of Mangalore will be hosting its 9th Diocesan Youth Convention (DYC - 2018) incollaboration with ICYM St. Paul Eastern Deanery, Puttur and ICYM Kadaba Unit at St. Joachim's Church Campus, Kadaba from 5th to 8th November 2018. The Convention will deliberate on the theme: Youth towards building a strong community in the footsteps of Jesus Christ. The youth will mainly focus on concepts like Youth Empowerment, Leadership Training, Media and Technology, Civil Services, Self Employment, Family Life, Awareness to preserve Environment. 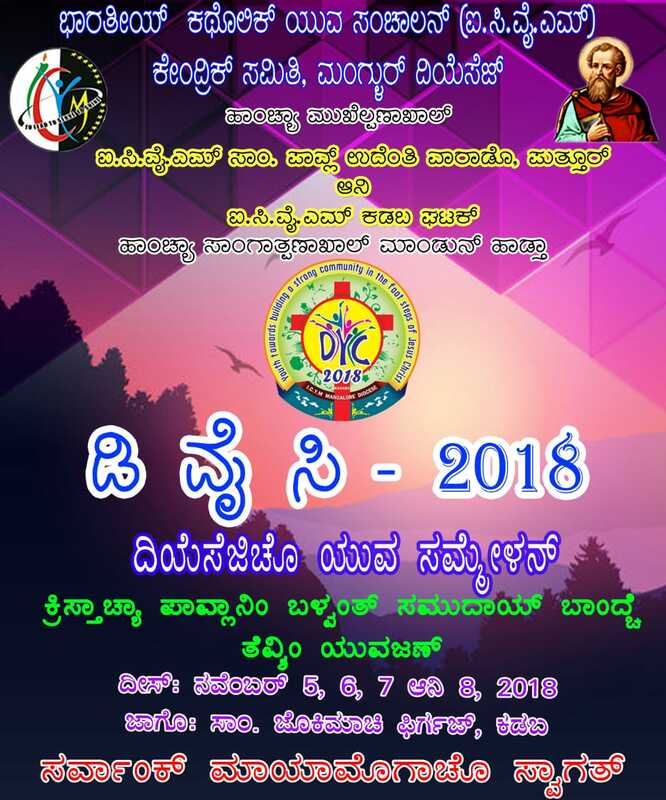 About 300 youth of Diocese of Mangalore will participate in this convention. 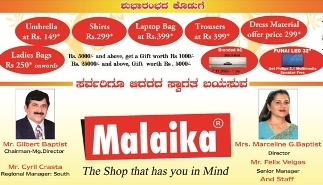 Mangalore Diocese is one of the oldest Dioceses of India with a history of 131 years. It has been growing in various aspects with the youth in the Diocese contributing equally in adding life to the Diocese uplifting its name as ‘Rome of the East’. From the past 71 years ICYM has trained the Catholic youth leaders to serve the society by organizing programmes like Blood Donations, Social Service Camps, Medical Camps, Awareness on Health and Sanitation, Organ Donation, various social awareness programmes which helps the youth leaders to contribute for the betterment of the society. The 72th Central Council is eagerly anticipating to host its 9th Diocesan Youth Convention at Kadaba which will be graced by the presence of Most. Rev. Dr. Henry Dsouza - Chairman, Karnataka Regional Youth Commission and Bishop of Diocese of Bellary, Most. Rev. Dr. Peter Paul Saldanha - Chairman, Mangalore Diocesan Youth Commission and Bishop of Diocese of Mangalore, Most. Rev. Dr. Aloysius Paul Dsouza - Bishop Emeritus, Diocese of Mangalore, Rev. Fr. Chetan Machado - Secretary, CCBI Youth Commission and National Director, ICYM, YCS / YSM, Rev. Fr. Jacob Anil Dsa SDB - National Youth Co - ordinator - ICYM, YCS / YSM and Regional Youth Director, Bosco Youth, V. Rev. Fr Alfred J Pinto - Vicar Forane, St. Paul Eastern Deanery, Puttur, Mr. Percival Holt - National Youth President Indian Catholic Youth Movement, Mr. Prajwal Lopes - Regional Youth President ICYM Karnataka Region. 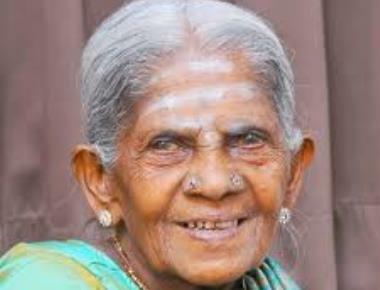 Organising Committee : Rev. Fr. Ronald Prakash Dsouza - Director, Rev. Fr. 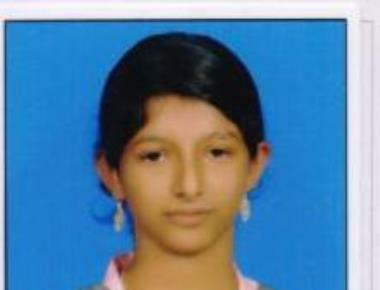 Ashwin Lohith Cardoza - Assistant Director, Jaison Leroy Pereira - President, Fevisha Monteiro - General Secretary, ICYM Central Council, Mangalore Diocese, Rev. Fr. Praveen Dsouza - Director, James Crishal Dsouza - President, Rakshith Pinto - Secretary, ICYM St. Paul Eastern Deanery, Puttur, Rev. Fr. Ronald Lobo - Parish Priest, Louis Mascarenhas - Vice President, Jacintha Veigas - Secretary Parish Pastoral Council, St. Joachim's Church, Kadaba, Joseph Veigas - Animator, Frayal Gladson Cross - President, Rashmitha Seema Pereira - Secretary, ICYM Kadaba Unit, Aneesh Lobo Kadaba - Local Coordinator.